Lenders require owners to live in the house for the best mortgage rates. Buying a house means reading mounds of paper and signing dozens of documents from your real estate agent, mortgage lender, title service and escrow company. Your mortgage is the loan for your new house and the lending paperwork requires adding your initials next to clauses acknowledging that you've read and understand the legal implications. The mortgage occupancy clause in your loan documents asks you if you intend to live in the house and your answer is important to obtaining the funding for your new home. Mortgage lenders demand an appraisal for your new property, ask you specific questions about your financial background and want to know about your plans for your new house. Your signature at the bottom of the loan application and lender agreement tells your lender the information provided on the document is factual and true. If you plan to use the house as an investment property, the interest rates for the mortgage increase compared with a loan intended for your own home. The amount required for your down payment also increases for rental properties. Buyers living in the home typically receive the lowest mortgage interest rates and also have the best chance for qualifying for a home. Your mortgage agreement includes numerous clauses, detailed language on a specific topic, and signing an occupancy clause promises the lender that you intend to live in the house as your primary residence. This statement, when made as a part of your mortgage loan, has legal power. If you fib, stretch the truth or outright lie, lenders have the legal right to cancel your loan and demand you immediately pay your home mortgage. A mild-mannered lender might rewrite your original loan with less-attractive terms -- meaning a higher interest rate and more down payment money. 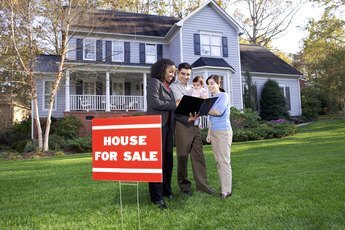 The homeowner occupancy clause isn't a lifetime commitment; typically, your mortgage lender expects you to live in your new home for at least a year. Lenders take into account emergency situations, provided you can back up your emergency claims. Employment transfers, change of marital status and moving out of the geographic area where the house is located all qualify as valid reasons for you to change your occupancy from the original mortgage statement. If you do move soon after you close escrow on your new house, it's a good idea to send a written letter to let your lender know about your move and the valid reasons for leaving the house. You might think once the lender funds your mortgage loan that the lender won't know what you do with the house. Lenders use several ways to check up on you, including looking at the type of insurance policy you take out on your home. Insurance designed for homeowners also requires you to declare that you intend to occupy your new house. Property tax rates, including any cash discounts for living in the house under state homestead laws, also let the lender know if you're in your house or renters have possession of your new house. 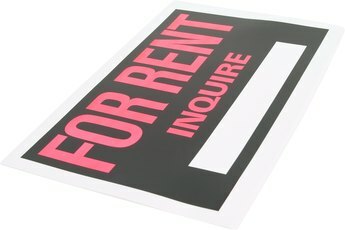 Nolo.com: How Can Insurance Help Protect a Rental Property Business?